PHOENIX, ARIZONA (May 31, 2016) – On Tuesday, May 31, 2016, an appeal of the Melendres v. Arpaio lawsuit against Sheriff Joseph Arpaio and the Maricopa County Sheriff's Office, was ordered by the U.S. Court of Appeals for the Ninth Circuit. The appellate order from San Francisco came at 10 AM PDT even while a contempt hearing was then under way before the Honorable G. Murray Snow in the U.S. District Court for the District of Arizona. 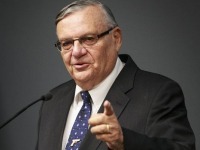 Judge Snow called the hearing today to determine what penalty he will consider for alleged contempt of court for Arpaio and MCSO being slow to implement his October 2, 2013, injunction which prohibited Arpaio from enforcing federal law against illegal immigration. The appeal was filed by lawyer Larry Klayman for an innocent bystander and victim of Snow's unethical and unconstitutional misconduct, Dennis Montgomery. Klayman contends that Judge Snow has trampled the constitutional rights and due process rights of Montgomery and others to force-fit a finding of contempt against Arpaio. Montgomery has been injured in that process. The appeal should come as a warning to Judge G. Murray Snow to start respecting constitutional rights and due process within the case. The Ninth Circuit previously ordered Judge Snow on April 15, 2015, to stop enlarging the case into a general critique of Sheriff Arpaio's management of MCSO. Judge Snow has defied that order but now needs a further rebuke. On May 13, 2016, Judge Snow issued a 162 page order and findings of fact, including accusations against Montgomery of crimes. For over a year, Judge Snow has spread groundless criminal allegations against Montgomery and others while blocking Montgomery from showing how they are false. Ironically, the lawsuit claims to be about protecting constitutional and civil rights. Yet Judge Snow is violating the rights of Montgomery and others. A year ago, Montgomery first asked for his lawyer to be admitted pro hac vice and that he be allowed to intervene to respond to scurrilous allegations from the ACLU and Judge Snow. He noted two appeals in July and October 2015. Melendres v. Arpaio was filed in 2007 to halt enforcement of immigration laws and to establish amnesty for illegal aliens. It ended on October 2, 2013, but the ACLU has pushed for contempt of court. Importantly, the judge's own wife previously revealed that Snow was out to destroy Arpaio, but he has unethically refused to recuse himself from the case after this was disclosed. Snow has never refuted this, because he cannot, given that independent witness confirm his wife's admissions. Therefore, it appears that Judge Snow decided in January 2015 to bring criminal charges and this entire proceeding has been about illegally destroying Arpaio and anyone in his wake. Sheriff Arpaio and MCSO admitted in January 2015 that they have been slow implementing the injunction and offered to accept a contempt finding. Judge Snow refused and wasted almost 18 months to reach the same conclusion, only to rule on completely unrelated matters to try to destroy Arpaio and anyone around him, like Montgomery. The Ninth Circuit will now address these serious ethical and constitutional violations at its next calendar in case no. 15-16440, an appeal brought by Montgomery. Oral argument will take place during the September calendar.